New York City’s first public greenhouse recently opened at Denny Farrell Riverbank State Park in Harlem. New York State Parks is partnering with The Horticultural Society of New York (“The Hort”) to offer community education programming and expanded access to fresh produce at the greenhouse. 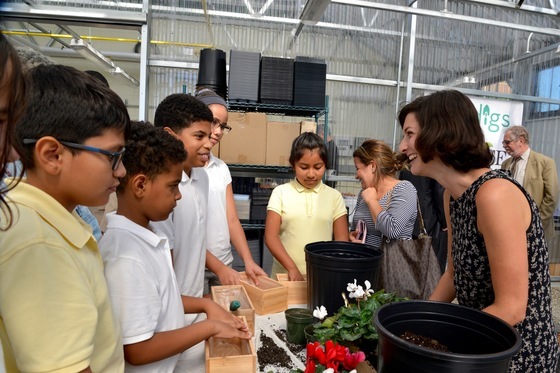 This center of urban gardening and nutritional educational programs center includes a classroom/demonstration kitchen connected to a greenhouse, where plants can be cultivated year-round. With assistance from a full-time educator from The Hort, the nutrition education center will present year-round classes, host summer camp and public school programs, help community members grown their own fresh vegetables, and sponsor a youth-run farmers market. The project is part of Governor Andrew M. Cuomo’s NY Parks 2020 program. Read More. The I Love New York fall foliage report is now available for the 2017 season. With autumn being one of the most impressive times to visit New York, the foliage report provide suggested travel destinations, weekly event listings, and prime locations to view the spectacular colors of fall. Check out this week's Fall Foliage Report. 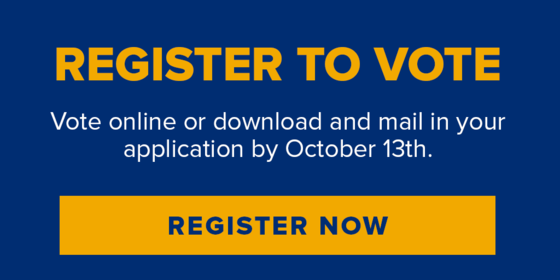 Governor Cuomo recently announced $10 million has been awarded to the City of Auburn to build a new Heritage Center that will emphasize New York State's progressive history of promoting social and equal rights, while encouraging tourism at Central New York’s and the Finger Lakes’ many attractions and destinations. The Equal Rights Heritage Center will highlight not only hometown Auburn heroes like Harriet Tubman and William H. Seward, but all those whose vision and sacrifice helped secure the blessings of liberty for each and every American. 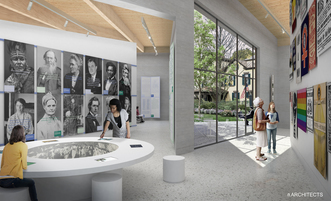 Plans for the center, scheduled to open in 2018, include exhibition and community spaces, interactive maps and videos that will highlight the role the New Yorkers have played in the struggle for women's rights, abolition, civil rights and the more recent efforts for LGBTQ rights. Read more. 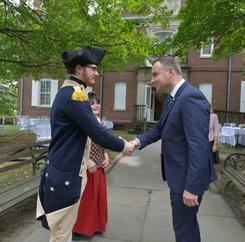 While in the United States recently, Andrzej Duda, President of Poland, visited Washington's Headquarters State Historic Site in Newburgh. After speaking at the United Nations and West Point Military Academy, President Duda and his staff chose to learn about our history...right here in New York State! This is the first time that Poland's President has visited one of our State Historic Sites. Another first for the first publicly owned historic site in the Nation, which opened in 1850. President Duda toured the historic Hasbrouck House which served as Headquarters for General Washington, and was also used by his wife Martha, several of his aides, guards, slaves and servants. It was here that General Washington announced the cease fire, authored some of his thoughts for the new Republic, and created the Badge of Military Merit, forerunner of the Purple Heart. President Duda also took in the museum and its exhibit, Unpacked & Rediscovered, containing over 1,300 objects from the collection. How long have you been with the agency? I had the good fortune to start my career with State Parks at Niagara Falls in June of 1984, when I was hired as a Park Police Officer. What does someone in your position do? 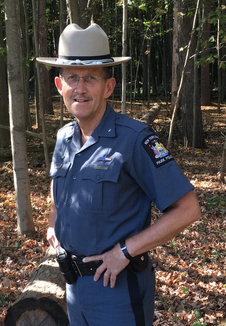 I currently have the privilege of serving as the Chief of Park Police, directing State Park Police law enforcement operations across the State. What’s the coolest thing you’ve ever seen or done? In a State Park? It’s a long list, but it comes down to this: simply working by myself in any number of beautiful State Parks, protecting our places and people, while having both the freedom and responsibility to do so. Is there a destination in the park/region you’d recommend to someone? Too many! But these are all good bets: the Niagara River gorge, the Finger Lakes Trail at Letchworth, the Genesee Valley Greenway as it passes thru Wildcat Gulley, the Ft. Niagara lakefront view of Toronto on a summer night . . . and more. What inspired you to work in the park system? I didn’t have a clue when I came to State Parks, but I had several mentors who taught me the lesson that inspires me today; we have wonderful opportunities to serve people and be the guardians of an amazing dual public trust combining justice for people and natural resource protection. The many members of the State Park Police, and other employees of the Agency, stay engaged and motivated day after day to protect and improve State Parks unique public safety needs, while we work together to maintain truly special places. 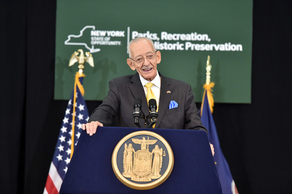 Governor Cuomo honored the retirement of Assemblyman Herman "Denny" Farrell Jr. by dedicating the most-visited State Park in New York City as Denny Farrell Riverbank State Park. Farrell represented Harlem, Washington Heights, Hudson Heights, Sugar Hill, and Hamilton Heights in the State Assembly for 42 years, making him the third longest-serving member in its history. The Governor officially renamed the park at a ceremony attended by more than 325 dignitaries and residents. The park's concept dates to the 1960s when the City was under federal orders to build a sewage treatment plant after raw sewage from Manhattan was being discharged directly into the Hudson. The City's decision to build the plant on the Hudson River in West Harlem led to community leaders to rally behind an innovative idea to construct a park on top of the facility. Assemblyman Farrell worked with the Governor Mario Cuomo to fund the path-breaking park, and was there celebrate its opening on May 27, 1993. Farrell has since been a tireless advocate and regular visitor to Riverbank, whose 3.1 million annual visitors make it the fourth most-visited state park in the New York State, and most-visited park in New York City. Read more.